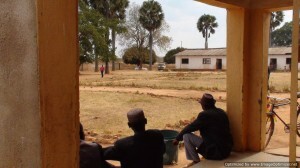 We arrived at break time, where the courtyard was fill of children playing, whose attention moved to us when they saw the Connect Africa land rover and van arrive. Morag and I had fun playing with them, where we’d chase them for a bit, then turn around and walk away, and they’d try get close to us. We’d then turn and run after them, as they scattered through the courtyard with screams of laughter and squeals of amusement. When I reached the classroom where we were to meet the teacher who was asked to talk to us, the elders were sitting waiting. Prince Lloyd asked concernedly why the children were running away from me. So I explained the game, and got some smiles back from Prince and the elders, now understanding all the noise and chaos of running children. 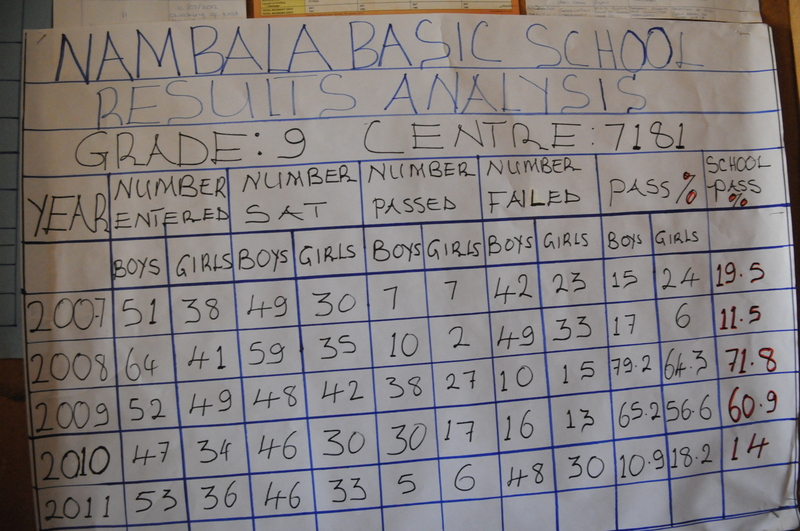 What stood out for us at this school was a chart in the head teacher’s dark office (no electricity to have a light) which showed the percentage of children who passed a certain grade over the last few years. The rate went from 11.5% to 71.8% in one year, and then dropped again a year later to 60.9%, and the following year to 14%. 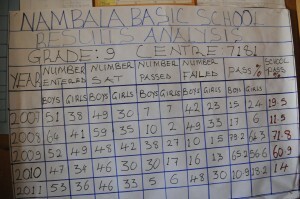 The dramatic increase in pass rate was attributed to this school having been assigned enough teachers to teach the number of children. The distinct drop in pass rate was when those teachers were reassigned to another school, and not replaced. If this is not evidence in black and white of the critical role teachers play, then I don’t know what is. There was a lot of discussion following this obvious fact of the possible impact technology could play, if we allowed it a role to compliment teachers. What would the pass rate be if children could be less dependent on teachers to educate them, and could learn from other systems or mediums as well? What if a system, like the one iSchool.zm has developed, could be facilitated by an enthusiastic person who could, following a clearly developed set of instructions, take children through lessons on a computer? What if technology could assist where teachers are scarce, let alone improve education by complimenting where teachers are available? 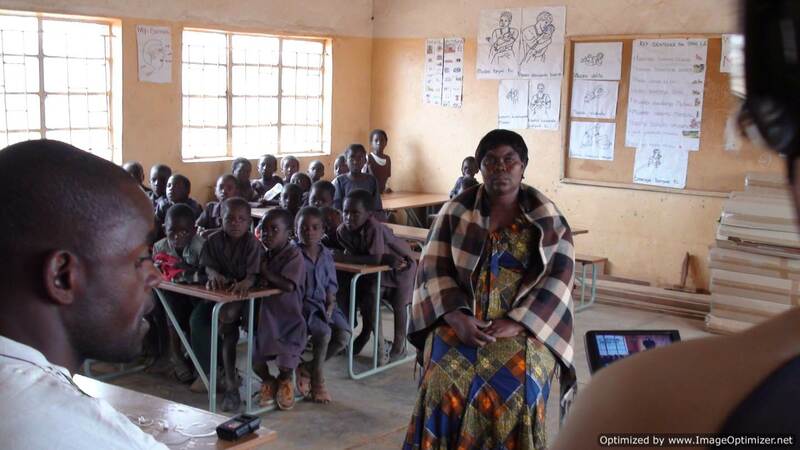 With these questions unanswered, we were sent off on our way with the school children waving and shouting good bye as they ran after us, in the dust of our vehicles. This entry was posted in Palace Expedition and tagged teacher by CA. Bookmark the permalink.